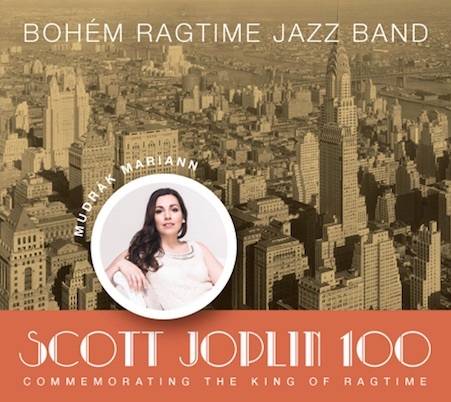 The Bohéms play 20 tunes by King of Ragtime, Scott Joplin who died 100 years ago (on the 1st of April in 1917). 72 minutes of great and diverse, colourful Ragtime music. (about 18 EUR/23 USD/20 CHF/14 GBP). For more information about the item and other methods of payment click on the picture! Best of Bohém 30 vol. 1. 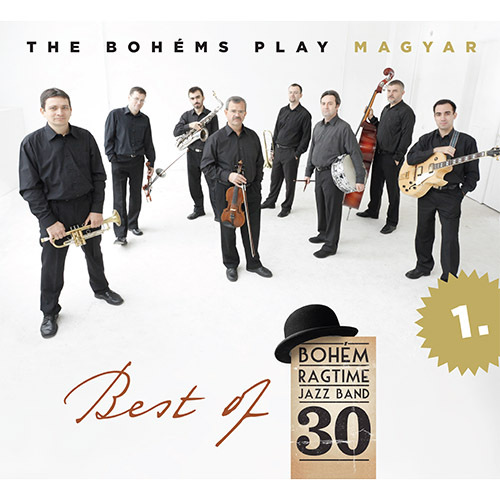 Best recordings of Hungarian jazz by the 30-year old Bohém Ragtime Jazz Band. 19 tunes, 65 minutes of great music, highly recommended! Best of Bohém 30 vol. 2. 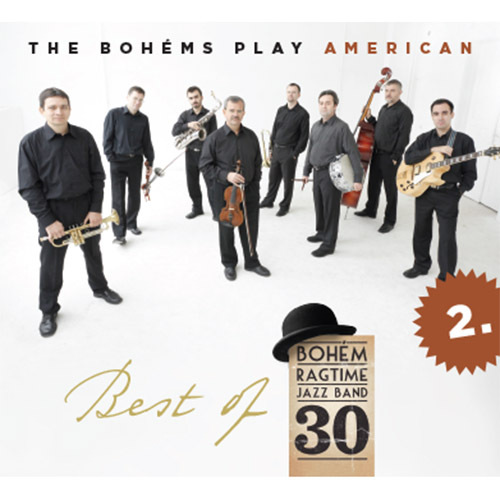 Best recordings of American jazz by the 30-year old Bohém Ragtime Jazz Band. 19 tunes, 75 minutes of great music, highly recommended! This CD's international appearance is supported by the Hungarian Cultural Fund's Cseh Tamás Program. Many thanks for the help! 12 CDs, 260 tunes, 15 hours of Ragtime and Classic Jazz. 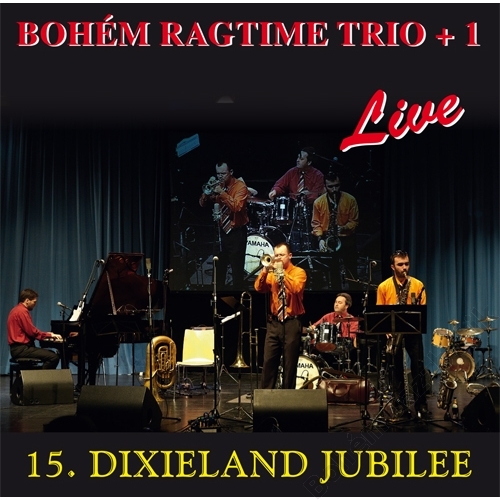 Everything, the Bohém Ragtime Jazz Band recorded in its first quarter of a century. (about 100 EUR/120 USD/110 CHF/80 GBP). 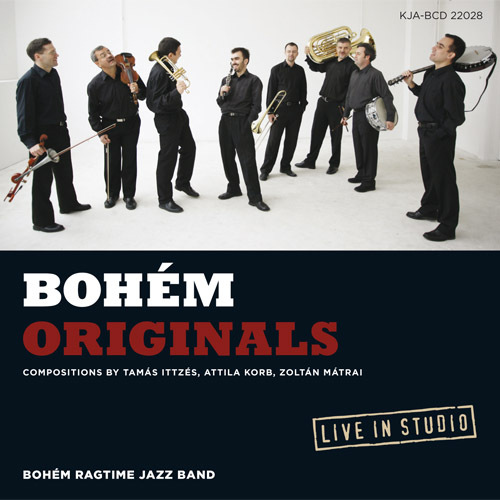 Original tunes composed by members of the Bohém Ragtime Jazz Band. Great Hungarian recreation of the American music. Great variety of styles and instruments, recorded live in Germany in 2011. 4 musicians plays 14 instruments and they all sing, too! 13 tunes. WANT TO HELP OUR FESTIVAL ORGANIZING AND OTHER ACTIVITIES? Save money by becoming a Bohém VIP-member! See details here! 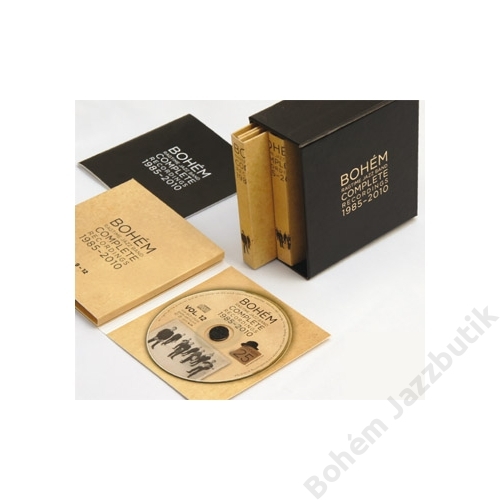 FOR STUDENTS: sign up for the 12 free sessions of the Bohém JazzSchool! 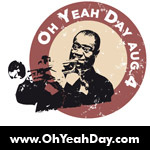 I must confess you, your band is the best oldtime jazzband, which I've ever heard in my life. You do a real music with heart. Each of you had me deep impressed. The music the Bohém played in Davos was excellent. Tineke and I found the last evening in Steigenberg the best performance. I want to tell you that I appreciated very much your band which is a perfect balance of traditional jazz, entertainment and music from your country with plenty of humour. And this combination by excellent musicians. A tight-knit, disciplined, and intensely swinging ensemble. [...] The arrangements by Ittzés are both stylistically true and brilliantly inventive. Temperament, Komik und Show zogen sich als verträgliche Einheit wie ein roter Faden durch den spektakulären Auftritt. Die Ungarn zeigten eine unbändige Spielfreunde, gepaart mit viel Humor und zurückhaltenden Show-Einlagen. Mit ihrem temperamentvollen, mitreissenden Ragtime spielte sich die ungarische Bohém Ragtime Jazzband in die Herzen der Zuhörer und hinterliess einen glänzenden Eindruck. [...] Sie sind eine perfekt aufeinander abgestimmte Band, in der jeder sein Instrument virtuos beherrscht. Und das zeigte sich nicht nur imgemeinsamen harmonischen Zusammenspiel, sondern auch in den zahlreichen wunderschönen Soli. For receiving up-to-date information about our activites, qualify for discounts regarding CD's and trips: sign up to our newsletter in the upper left corner.